"Deep calls unto deep at the noise of Your waterfalls; All Your waves and billows have gone over me. The Lord will command His lovingkindness in the daytime, And in the night His song shall be with me- A prayer to the God of my life." Psalm 42:7,8 The psalmist understood the power of intercessory prayer. Here he shares the most powerful prayer method of praying out loud. He is talking to God and expressing his own struggles with his needs and coming to the powerful conclusion that God is a faithful, loving God that hears and answers prayer. The more the psalmist interceded, (and heard himself intercede) the more his faith increased! Each time you intercede and bring these needs to the Lord, and pray the scripture promises that are included in this guide, your faith will grow stronger and deeper. 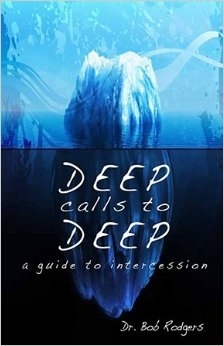 You will reach into the deep areas of your own soul and reach into the deep areas of God's goodness and experience the true power of intercession.